Tobins' Tastes: Green Giant Has A Giant Surprise: Veggie Chips! I love chips. While you may think that based on what you see on this blog, I am more of a dessert person, but what I really crave are crunchy, salty, snacks like chips. 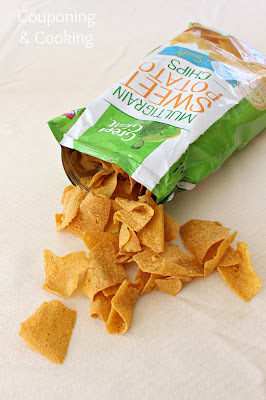 And as someone who likes chips as much as I do, I am always trying to find chips that are a little bit better for me than the usual salty snack. I was so excited when Clever Girls offered me the chance to try out these chips. I had seen them advertised and was actually planning on looking for them at my local grocery store when I got the opportunity to participate in this campaign. Justin and I were so excited to try them out that I actually had to hide them so we would wait to tear into them until I could actually take some photos. We could not stop eating these chips. They were so good. Like for every photo I would take, I think that Justin and I would each eat two chips. I was actually afraid we would run out of chips to photograph. Our personal favorite were the Multigrain Sweet Potato Chips with Sea Salt but we both also really liked the Zesty Cheddar Tortilla chips too. I am even wondering if I could use them to make my Lightened Up Taco Pie even more lightened up. Want to try these out for yourself? Green Giant even has an .85 cents off coupon for you to try them out and save a little too! 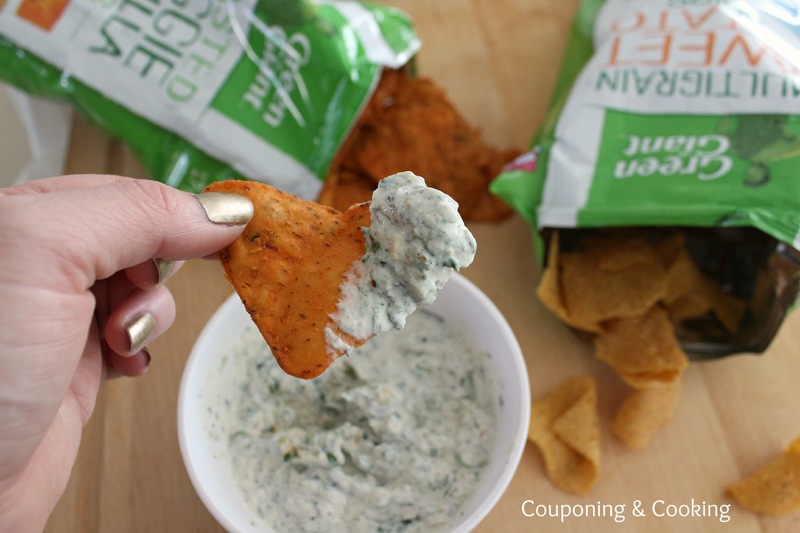 A chip that is better for you deserved a dip that was better for you too so we whipped up our favorite version of spinach dip to snack on too. 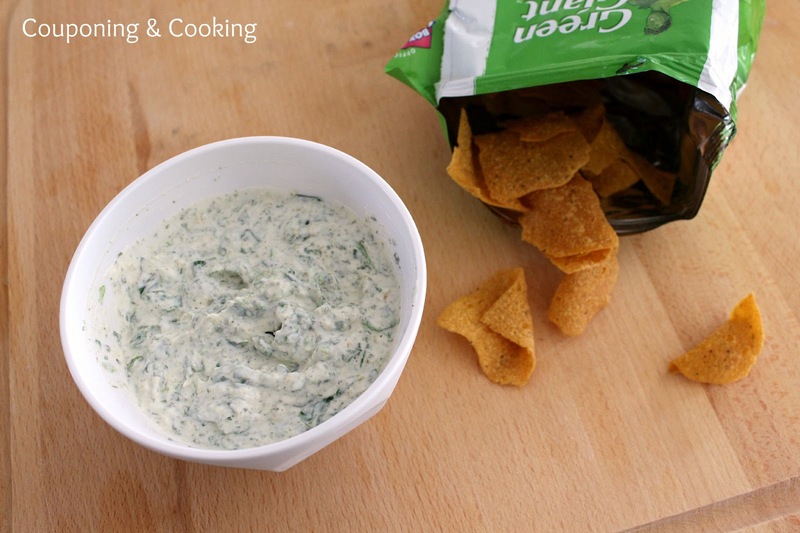 We simply mixed a packet of our favorite dressing seasoning with sauteed baby spinach, 3/4 cup fat free Greek yogurt, and 3/4 cup fat free sour cream. It was the perfect compliment to the Veggie Chips. 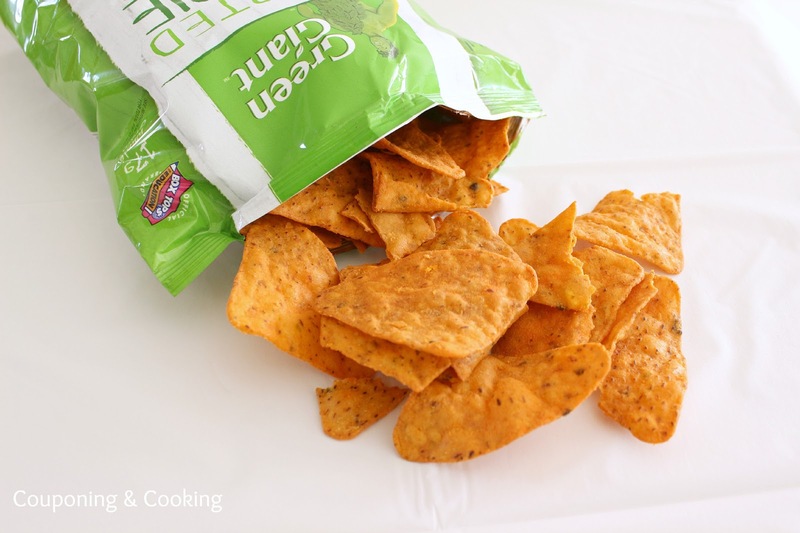 As if the makers of my favorite frozen veggies now making chips wasn't a surprise enough, head on over to Green Giant's Facebook page and YouTube channel to check out even more surprise talents Green Giant has unearthed.